I had a 10 o'clock entry time for my tour, so by the time I wound my way to the Backlot Cafe (about 2/3 through the experience), it was past midday and the cafe was crowded with a long, winding queue. 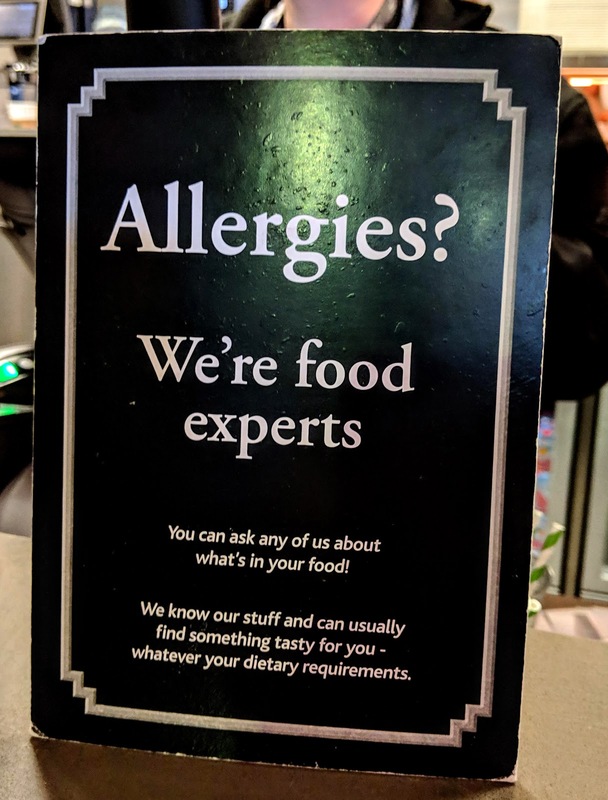 Not wanting to wait in it and discover no safe options, I decided to flag down a staff member walking through the dining area to see if they could confirm if there were options available. They assured me there were and that more information would be available at the register, so I stuck it out and patiently waited to get to the front of the line. 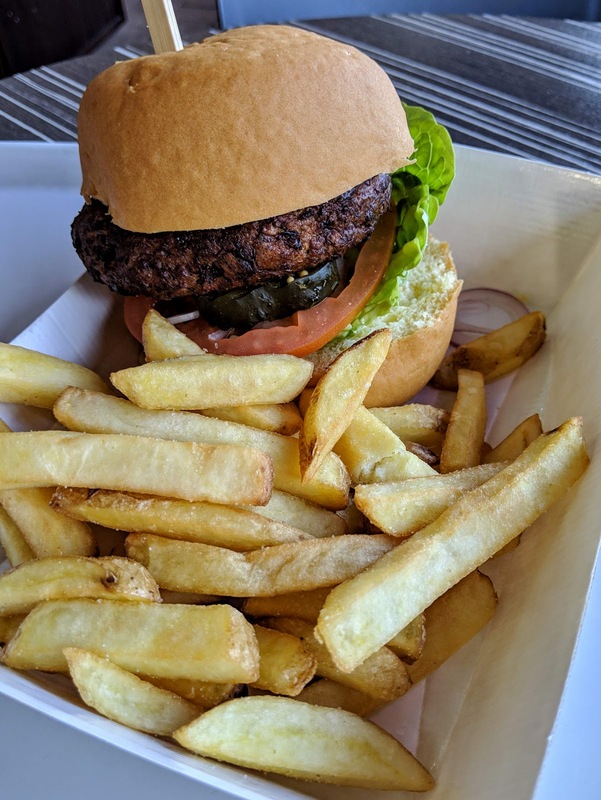 I opted to order the chickpea burger (sans dressing), which came with a side of chips. 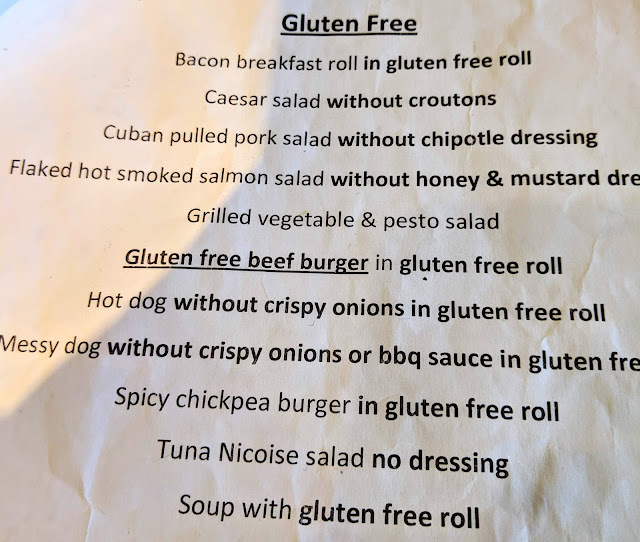 I made sure to communicate my gluten-free allergy, and the staff specially prepared my order to follow it's prep from start to finish. As meals go, it wasn't anything special, but then again, my expectations weren't super high from my past experiences with Universal Orlando's Potter-themed fare. The bun was dry (but not crumbly), and the chickpea patty was filling, but it's spiciness barely registered. The chips were passable, but I didn't feel particularly compelled to finish them off once the burger filled me up. I wished they were a bit crispier, though I did like the thick cut with the skin still on. It would be food blogger malpractice for me to write this review without mentioning the famed Wizarding World beverage, butterbeer, which can be ordered onsite (one of the few places in the world you can get an officially sanctioned brew). According to their website, butterbeer is suitable for gluten-free diners, but contains trace amount of dairy. 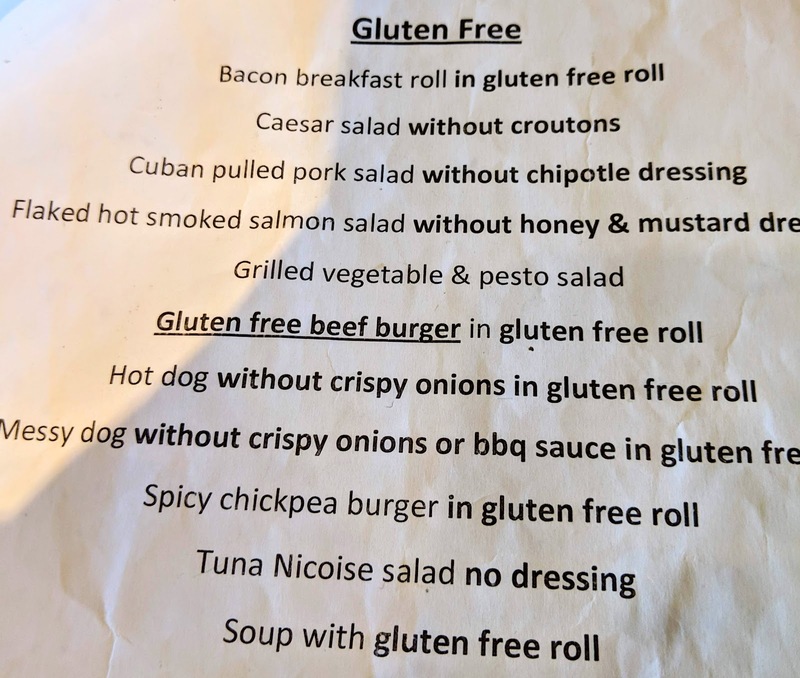 If you're looking for gluten-free options, Warner Bros. Studio Tour London definitely has them, but I was left rather underwhelmed by the food itself. It's on par with your basic theme park fare, as with the the prices too. That being said, I was thankful to have the options, and a filling meal to tide me over so I wasn't snacking all day. For those who wish to pack their own food, that is allowed (as long as food is not consumed outside the dining areas). Regardless of what and how you choose to dine, it's fantastic to enjoy lunch just steps from the Knight Bus, Privet Drive, and other set pieces from the iconic films. On a non-food note, I cannot recommend the Warner Bros. Studio Tour enough. 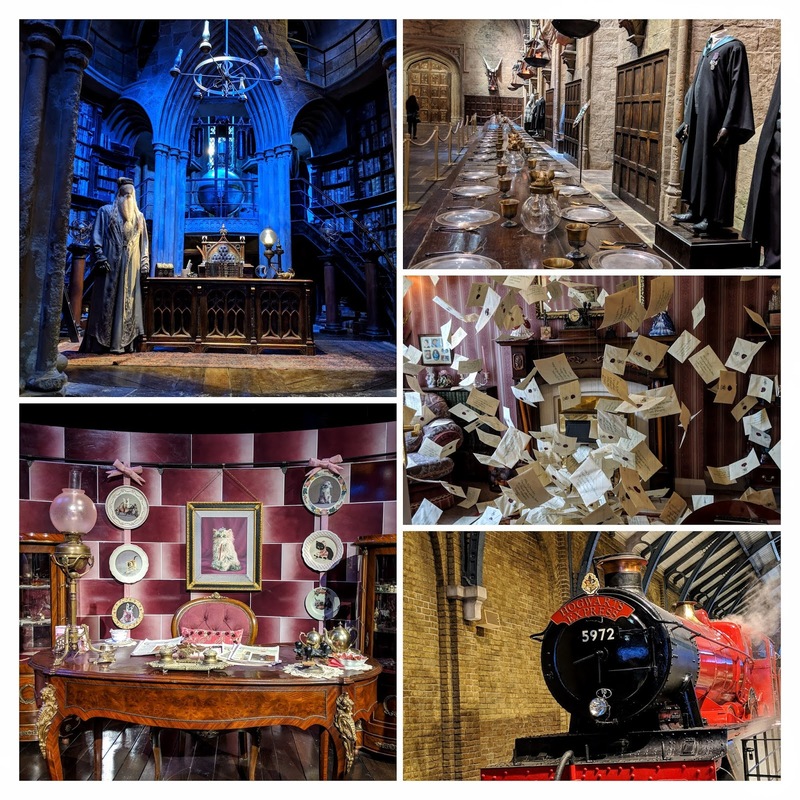 I am a devoted fan and consider myself pretty hard to impress when it comes to Harry Potter, yet this tour left me spellbound (pun definitely intended). The real sets and costumes not only give a fascinating view into the craft and care that went into making all eight films, but showcase the talents of the countless members of cast and crew who worked on the films. I'll never watch them the same way again, and especially enjoyed the small details and knowledge of the staff members who eagerly shared behind-the-scenes stories. Disclaimer: This review is based upon the information I have at the time of the review and does not reflect changes in ingredients or availability of items. Please contact the Warner Bros. Studio Tour directly for up-to-date information and feel free to contact me with any questions or comments. I was not compensated for this review and it is a reflection of my personal opinion.